Well, it’s that time of the year again, when soccer fever is at its highest; fans are going crazy about the local derbies and winning is a must! 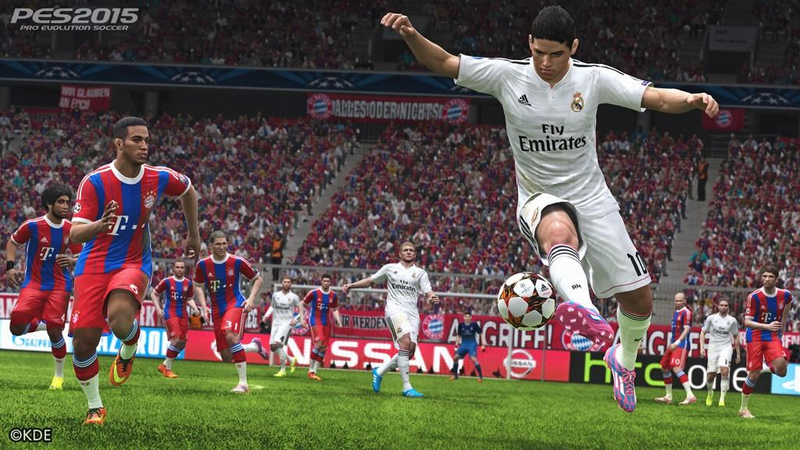 It could not have come at a better time than this, yes it’s here; PES 15 has officially launched. But the question that everyone wants to know is; Is it really worth the buy? Is it a fail upgrade or a mammoth of a game? Let’s start off with the system requirements of the game for the PC Version. They are pretty basic and are designed so the game will run on most configurations. An entry level i3 processor with 2 gigabytes of RAM and an entry level GPU. In some cases even Intel’s iGPU will suffice. The game runs equally fine on both PS4 and Xbox One. Since the tussle between PES and FIFA has now practically become ancient history, lets take a look at the strengths of its competitor. PES 15 is slightly lacking in licenses and FIFA has a bigger number of stadiums. Yes, the commentary on the PES 15 will still bring a smile on your face (because its ridiculous) if you’re an old follower but could also potentially turn you down if you’re trying it for the first time. So that is a major drawback as it decreases the gaming immersion users want to experience while playing the game. But when it comes to gameplay and freedom of movement, PES does it way better than FIFA (in my opinion). Of course difference of opinions exists between both camps but one cannot deny that that dribbling is much more enhanced and the AI controls are much more precise than its competitors in the market. The shooting feels like the real deal and passing is quite sharp. The players are more recognizable and, as before, their typical styles have been copied into the game just like they are in real life. What’s newer and better is the edit mode which allows you more freedom to edit team styles and player kits. The teams are also more strategy oriented with their real life approach enhanced in the game. User reviews have been very extreme on both ends with some very shining reviews saying that “The king has reclaimed it’s throne “ to other which have just ridiculed the game calling it a “waste of money” and “fluidity, far from the level of its competitor” with a zero rating. All in all, Konami is heading in the right direction with their series’ progression but they have to realize that they cannot go on if they continue adding alienating features into the game. The commentary could be considered seriously below par and doesn’t come close to matching FIFAs. This game is the crown of PES series so if you’re a fan, this is definitely a must buy for you. The game released on the 11th and 13th of November for all platforms.